Palestine and Israel, whilst geographically small, often take centre stage in world politics and global news headlines. In this beautiful, friendly, yet troubled land you encounter a dichotomy in socio-economic conditions and healthcare. Whilst in some parts of this area, people can experience the technological advances that we are accustomed to in the UK, including the provision of an advanced healthcare system, there are others who are less fortunate. For this group, who reside in both the Gaza Strip and the West Bank of the Palestinian Occupied Territories, journeys to work and school are often interrupted by the need to cross a ‘separation wall’. This disruption to journeys also complicates patient transport and referral making the provision of safe surgery and anaesthesia a challenge. As a result, the provision of healthcare is adversely affected. The Palestinian National Authority, alongside the United Nation Works and Relief Agency, as well as the many NGO’s and charities that operate in Palestine, are responsible for the provision of welfare and healthcare system. The PATM supports colleagues in anaesthesia; including doctors who have completed their postgraduate anaesthesia training who are working as specialists and heads of departments, residents who are junior doctors in postgraduate training programs, and non-physician anaesthesia technicians. 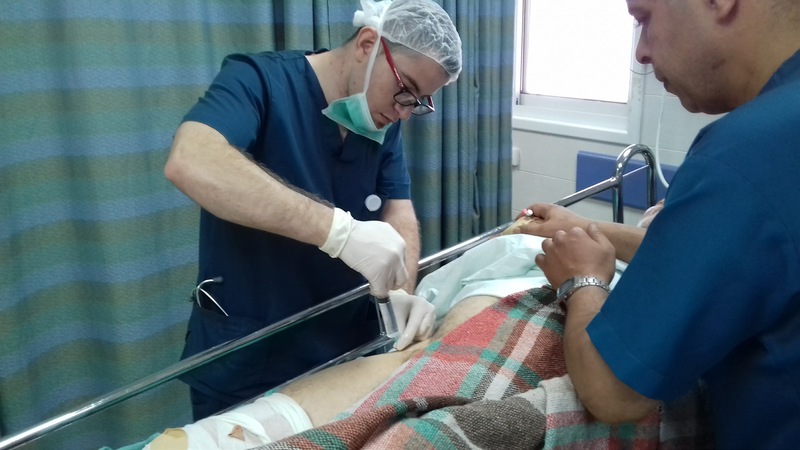 There are a total of four teaching programs run at four hospitals within the West Bank focusing on professional development and clinical teaching of physician and non-physician anaesthesia providers. 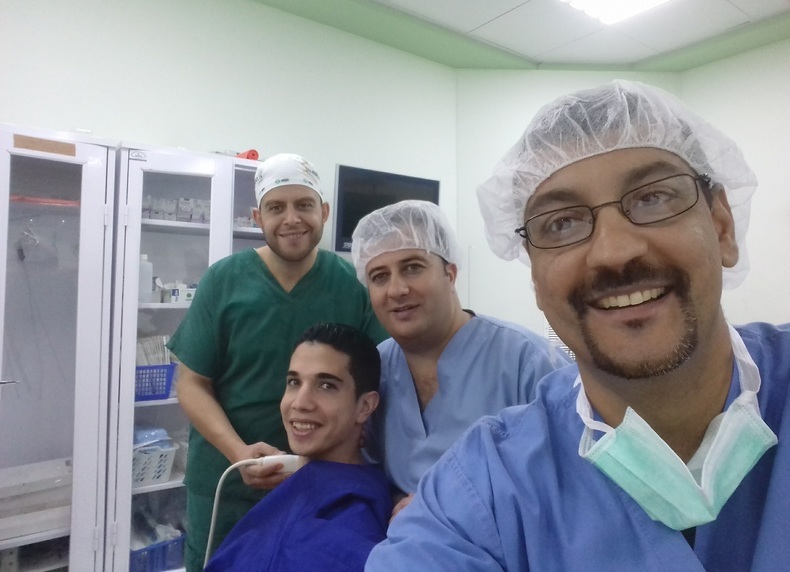 During my first week I was placed at Al Makassed hospital in East Jerusalem. Colleagues here were keen to learn to use the department’s ultrasound scanner for regional anaesthesia. We performed an adductor canal block for the first time for a patient undergoing traumatic knee surgery. By the end of the week, these guys were getting really good at it. The following week, I received photos showing them performing an adductor canal block on a patient undergoing knee surgery. Another photo showed a smiling, happy, comfortable patient wanting to go home a couple of hours after surgery - a true example of sustainable knowledge and skills sharing, as well as enhanced recovery after surgery. Another one of my favourite moments occurred during week two, when I was placed at the Palestine Medical Centre in Ramallah. The anaesthesia team working at PMC were very keen on ultrasound guided regional anaesthesia. They had a modern ultrasound equipment but needed a guiding hand to get the most out of it. By the middle of the week, one of the specialists under guidance, performed supraclavicular brachial plexus blocks on two patients undergoing upper limb surgery. These two patients underwent upper limb orthopaedic surgery solely on regional anaesthesia. This was a first for the team at PMC, as usually this type of surgery would be conducted under general anaesthesia. During the rest of the week, this skill was replicated by other anaesthesiologists working at PMC. 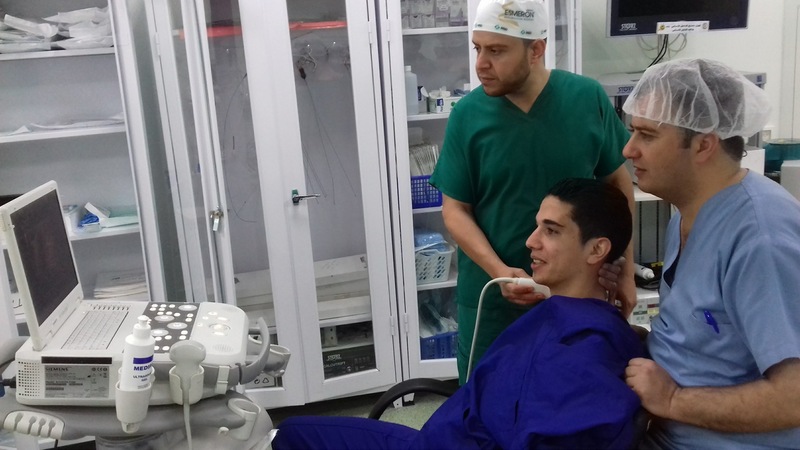 During the third week, whilst at Rafidia hospital, the principal surgical hospital in Nablus, we were focusing on performing landmark based regional anaesthesia. We had already re-introduced fascia iliaca blocks early on in the week. Towards the middle of the week, one of the residents took the initiative to perform a fascia iliaca block on an elderly patient in pain who was waiting for hip fracture surgery, a great example of locally driven quality improvement. Finally, on my last day in Palestine, I attended the wedding reception of one of the anaesthesiology residents working at Al Ahli hospital in Hebron. Here, along with many of the residents and specialist anaesthesiologists working in the West Bank, we ate, drank sweet coffee, sang and danced. A great last day to the great experience of the PATM. I found the PATM to be both rewarding for the colleagues that I worked with and for myself. Our colleagues in Palestine have a workload that is of a much greater intensity than what we would expect in the UK, with a much higher emergency and trauma caseload. There are very few opportunities for them to go to regional and international meetings and courses. Thus, I promoted the WFSA’s website and its op access learning resources and Virtual Library to all my colleagues there, as well as encouraging them to apply for the scholarships and fellowships that the WFSA offers to attend international meetings and to develop a subspecialty interest. 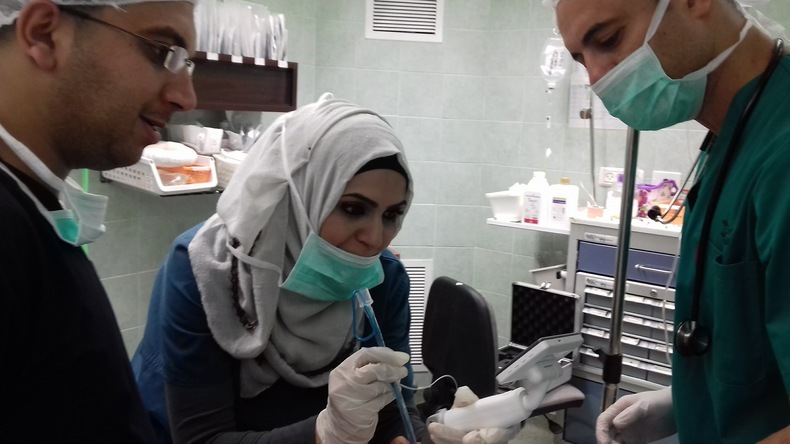 Anaesthesia providers in Palestine go about their work with a necessary degree of resilience needed to live and work in this part of the world. Like all my other professional trips overseas, this one reminded me of the luxuries of anaesthesia rooms, dedicated assistants, specialist equipment, and drugs that we as anaesthetists in the UK take for granted. If you are looking to make a difference, the PATM could be for you. I cannot think of a more rewarding way of giving up your precious time. You will not only develop the professional skills of colleagues in Palestine, but will also develop your own professional and personal skills more than you can imagine. I was proud to have been selected for the PATM 2017, and I hope to return in the future. 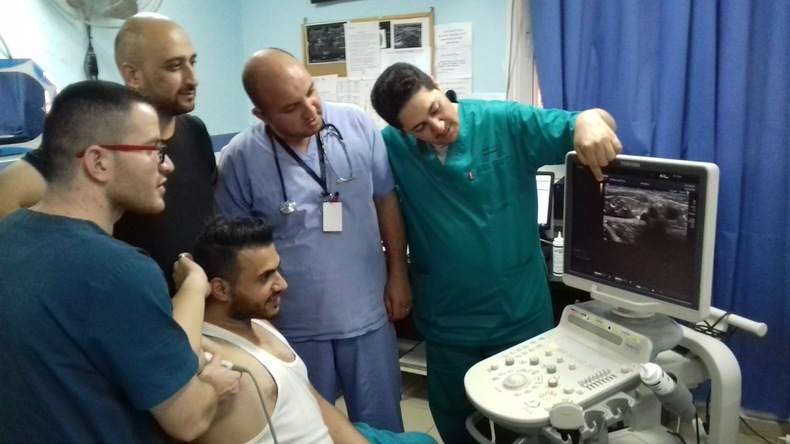 The Palestine Anaesthesia Teaching Mission (PATM) programme was started by the Canadian Anesthesiologists’ Society International Education Fund and the WFSA in 2009. The WFSA continues to provide administrative support and IMET 2000, a UK-based organisation, now generously provides funding for the programme.